Every since the Century GRMN was spotted for the first time in Japan, there was a rumor going around that Toyota had actually built two of them. 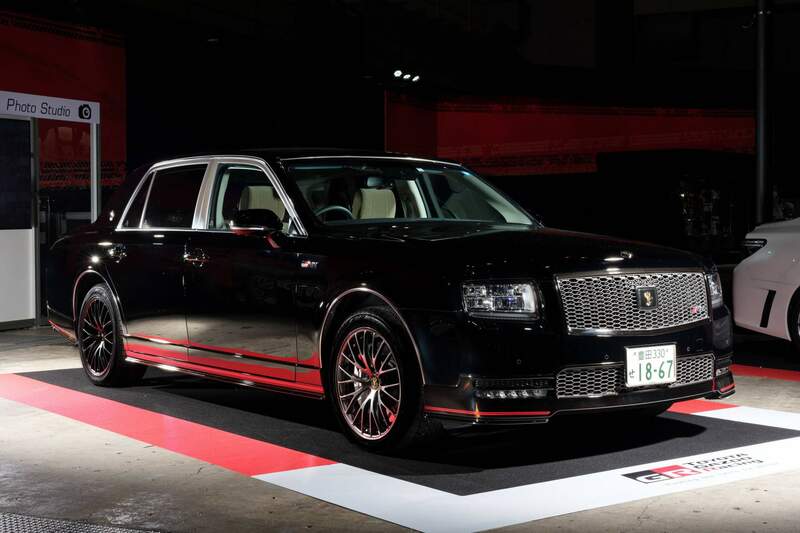 While the pearl white one turned out to be Akio Toyoda’s company car, the second Century GRMN remained a chimera. 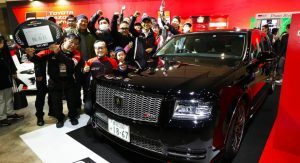 Up until now, that is, because Toyota brought it in the limelight at the Tokyo Auto Salon. And the black paint suits the Century GRMN much better than the white, don’t you think? 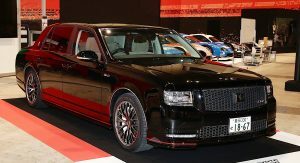 We don’t know whether this black limo is also used by Akio Toyoda, but it does have similar “18-67” license plates — a nod to the year Toyoda’s great-grandfather and Toyota founder, Sakichi Toyoda, was born. As with the white car, Toyota remains very secretive about the purpose of the Century GRMN – and there’s absolutely no word of it even being considered for production. Come to think of it, this is a brilliant way for Toyota to appear like a maker of aspirational vehicles. Sure, the Toyota 86, Supra and the upcoming hypercar are the ones that act as halo vehicles for the whole brand, but the Century GRMN shows that the carmaker is not afraid to let its tie loose — or at least its CEO is. 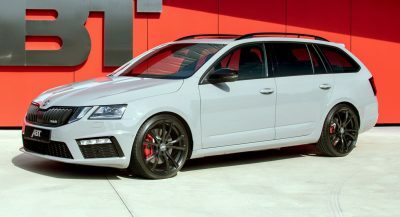 This black Century GRMN features an identical body kit to the white example, including black trimmings from GRMN with red accents, aftermarket wheels shod with Yokohama Advan tires, white brake calipers, and a small carbon fiber rear spoiler. 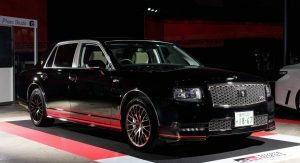 The car most certainly features some performance goodies, too, even though the standard Toyota Century packs quite a punch. 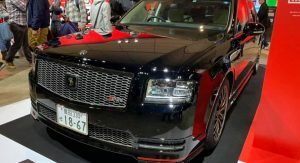 The stock luxury sedan’s 5.0-liter naturally aspirated V8 and electric motor produce a combined 431 PS (425 hp), which are more than enough to move this luxury sedan around swiftly. Wow… This is very interesting proposition. Nice job Toyota! 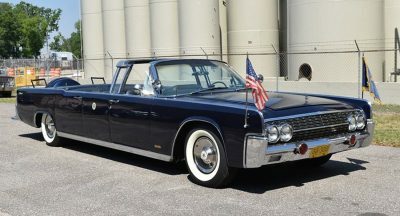 What a cool car. There has to be a way to bring it to the U.S.? I love it, I want it. I can see my self in it for the next 15 years I don’t mind. It is actually different Century GRMN, not just the colour; this one registered in Toyota City while the white one isn’t… I wonder if there are more to come?